This March 15, 2018, file photo shows the Toys R Us logo on a store in Emeryville, California. Toys R Us liquidated its business last year, unable to emerge from bankruptcy after a crippling 2017 holiday season. 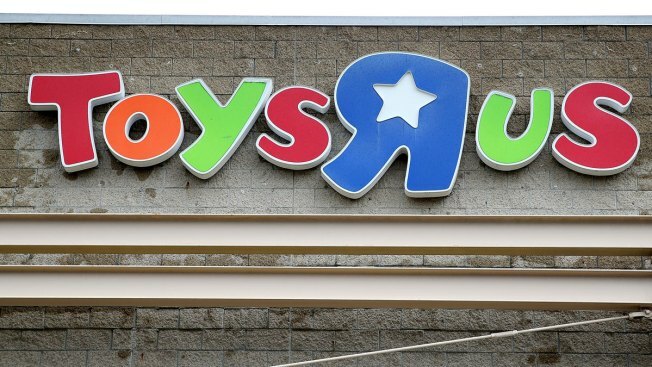 Its lenders, including Solus Alternative Asset Management and the Angelo Gordon investment firm, took control of the company's intellectual property, which include the Toys R Us, Babies R Us and Geoffrey brand names. As of Jan. 20, several former Toys R US executives began running a company called "Tru Kids" to manage those brands, said Richard Barry, new president of Tru Kids and former chief merchandising officer of Toys R Us. Tru Kids is headquartered in Parsippanny, New Jersey, a 20 minute drive from Toys R Us' former headquarters in the town of Wayne. Other employees include former Toys R Us and Babies R Us workers, though it will be a "much tighter team overall" than those employed by its predecessor, Barry said. Department stores fight for life in Amazon era, says former Toys R Us CEO from CNBC. The full business plan for Tru Kid is still a work in progress, Barry told CNBC. The new company is exploring multiple options, including stand-alone stores, pop-up shops or a partnership like the one Solus and Angelo Gordon previously explored with Kroger. When asked whether Tru Kids would partner with Amazon, Barry said he would "not take anything off the table at all." "The U.S. is the biggest toy market in the world," said Barry. "Fundamentally, this is the place where the business began [with] Charles Lazarus." Lazarus, Toys R Us' founder, died at age 94, shortly after the company liquidated. Still, to be successful, Toys R Us will need to win over toymakers, many of which had fractured relations with Toys R Us following its U.S. demise. During its bankruptcy, the retailer had continued to order toys throughout its abysmal holiday season. When it liquidated, vendors like crayon maker Crayola weren't paid in full and lost money. "We fully appreciate the impact the bankruptcy had on our vendor partners, and fact that it left our vendors impaired," said Barry. Although they were upset, Barry said toymakers "recognize the value" Toys R Us brought to the industry. This Christmas, the first without Toys R Us, toy sales fell 2 percent, according to market researcher NPD Group. Efforts by Target, Walmart, Amazon and drug stores to expand their toy sections didn't fully replace lost Toys R Us sales, with still far fewer shelves showcasing toys in 2018 than years prior. NPD's figures imply that retailers were able to recapture about 35 percent of the market share, according to Jefferies analyst Stephanie Wissink. But even if Target, Walmart and Amazon were unable to fully replace Toys R Us, they continue to have one strong weapon in their arsenal: the ability to compete on price. Big box stores helped drive Toys R Us' downfall by slashing toy prices to draw shoppers into the stores, hoping they would spend money on more profitable products like TVs, washing machines and other hard goods. "If you bring differentiation, you can find that price can be neutralized to a significant degree," said Barry. "But price will always be factor."